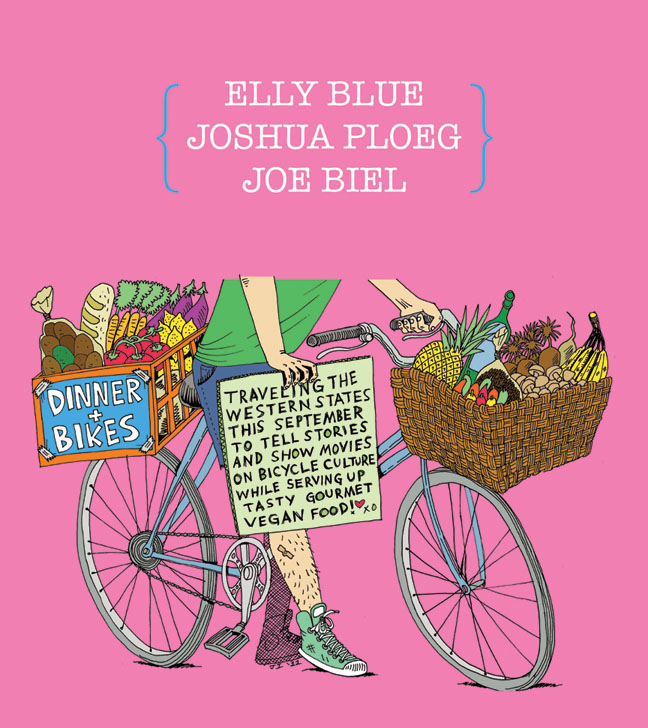 Elly Blue is the author of the blog Taking The Lane and several ‘zines, a bicycling culture advocate and a connector drawing the threads of simpler transportation together across the country on her Dinner & Bikes tour. 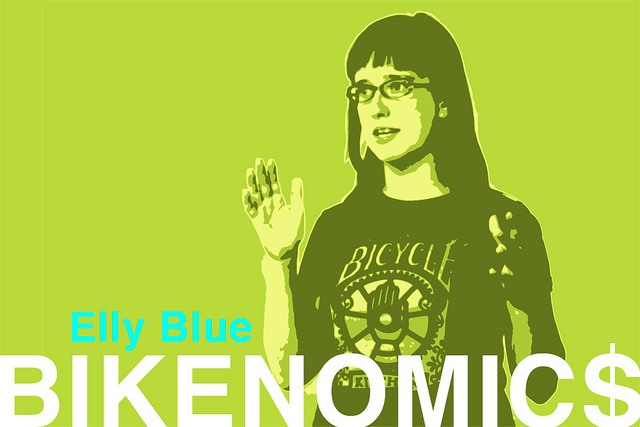 She joins us today to chat about being out on the road with Dinner & Bikes, zines on bicycling, perspective on the Portland bicycle & transportation scene, gender and bikes, and more. BikePortland: after a fatal crash downtown, hundreds gather to honor Kathryn Rickson. BikePortland: animation shows growth of Portland’s bike infrastructure over time TRANSPORTland: map of the Disaster Relief Trials route released!